Nokia has launched its latest "Banana" smartphone alongside Nokia 3.1 Plus in India on Thursday. The Nokia 8110 4G (first impressions) feature phone is fuelled by Smart Feature OS, which is based on the KaiOS platform. The other is the Nokia 3.1 Plus, which a brand new phone that made its global debut in India. The Nokia 3.1 Plus handset is a budget-focused Android smartphone. Nokia 3.1 Plus stands out with its large 6-inch display up front. Those that wish to give a try to this beta have to head over to Nokia Beta Labs and download the update from there. During my brief usage, the smartphone's HD+ display looked pretty good indoors and outdoors as well. That's not much more than the normal 3.1 sells for - it's now $159 Dollars on Amazon - and it's worth it for the fingerprint sensor alone. Inside the Nokia 3.1 Plus, things are a little less premium. An Octa-core Snapdragon 710 processor clocked at 2.2 GHz will power it. Nokia X7 will be available in 4GB/6GB RAM + 64GB/128GB internal storage variants. Running Android Oreo, the device is offered in two storage variants - 16GB and 32GB and can be further expanded up to 400GB via microSD card. Unfortunately, like all the phones in this price segment, there is no USB Type C. Software wise, this phone is clean and simple to use, while also offering the security of regular Android updates and has Android enterprise certification. So you get a pure, clean and bloatware-free Android experience that should be well optimised so that everything works smoothly even with an entry-level chipset. Our initial impressions with the device has been mostly positive, but we'll have to wait to see how well it fairs in daily usage. 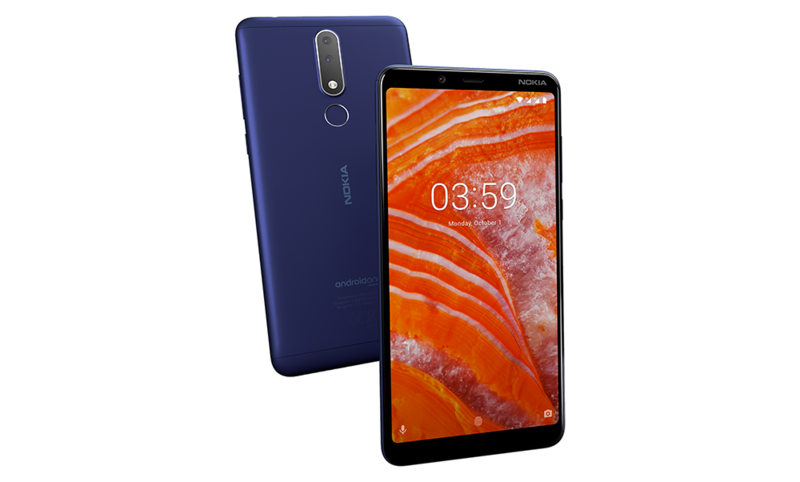 The Nokia 3.1 plus has a dual camera set up with a 13-megapixel main camera paired with a 5-megapixel secondary sensor that uses depth-sensing imaging to deliver attractive Bokeh as well as fast and accurate focus even in low light. The front camera also seems slow in processing information, resulting in blurred images. For powering the device there is a bigger 3,500mAh battery than the 2,990mAh battery which was used on the Nokia 3.1.